In collaboration with Miguel Bermúdez and Imanol Serna. 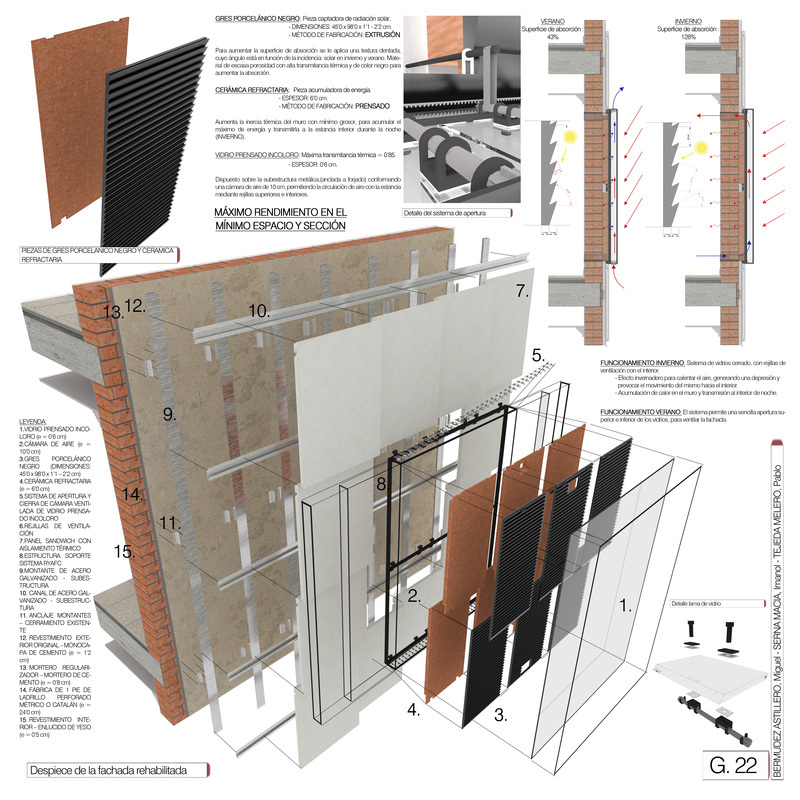 The aim of this project is to design a facade system integrating the concept of the "trombe wall". In order to improve the efficiency of the system, we designed a selective surface ceramic piece, which will absorb a 120% of the sun radiations in winter, and just a 56% in winter, using the ventilation and chimeney effect.